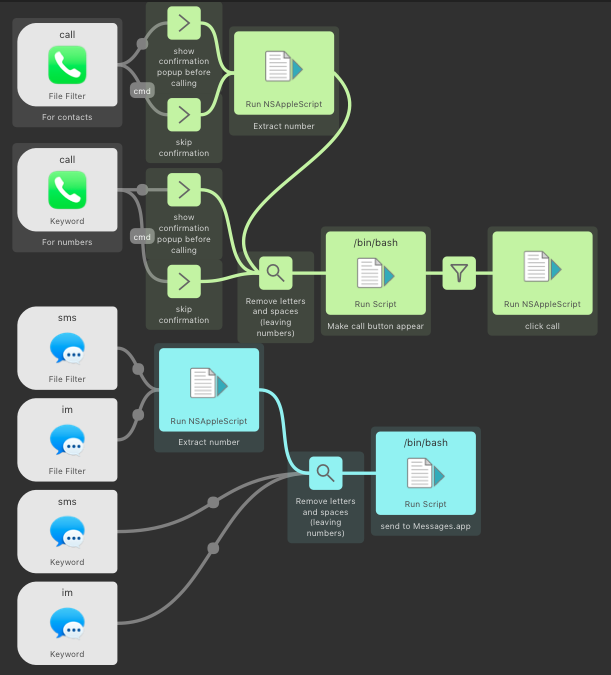 A short stand-in to add sms and calling support to for Yosemite and iOS 8.1. Searches through contacts in real time as you type. 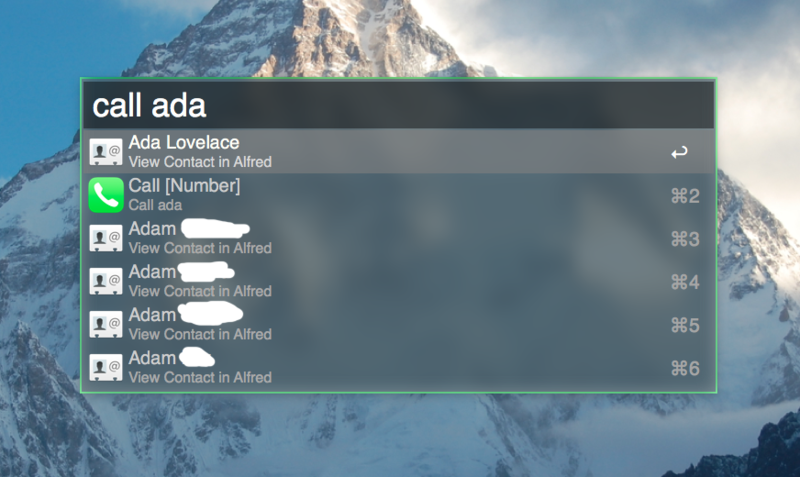 Excludes contacts with no number. Currently no way to select between multiple numbers for a single contact. Requires Alfred V3. 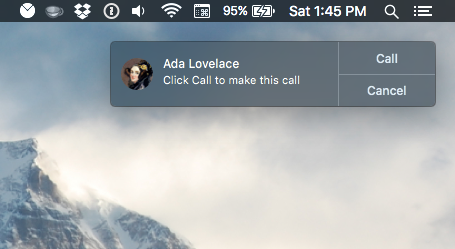 Most recent version (2.2) allows skipping of call confirmation dialog by pressing ⌘ and ↵ instead of just ↵ on a selected contact. Released under Apache License 2.0. If you modify this and use it in something splendid I'd appreciate a shout out.